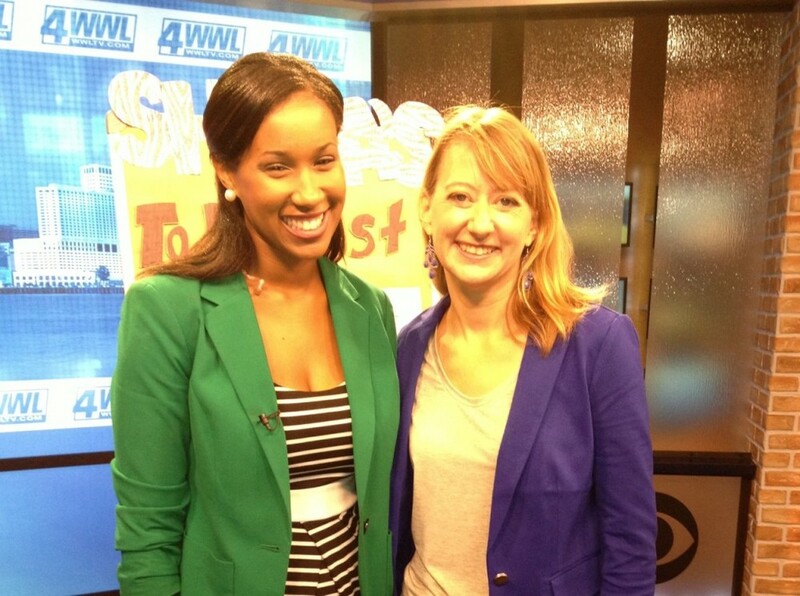 We taped the segment four days before it aired. That gave me a lot of time to go through a giant rollercoaster of emotions. Right afterward I felt fantastic. I did it! How cool! It was fun! I didn't sweat too much or fall over or stumble over my words. I didn't let fear of something new get in my way of doing it. A few hours later, I got hit with what Brene Brown calls a "shame storm." Oh my goodness. People were going to SEE this! They might not like it. They might think it was silly. Maybe I looked awful. Maybe I was slouching. Maybe people would laugh. Who am I to be on TV giving advice about to-do lists? Maybe I'm giving life coaches a bad name. I do so much more with my clients. Are people going to think this is all I do? I wanted to hide. Literally crawl under the bed. Then my logical and shaming-in-a different-kind-of-way self kicked in. "It's not that big a deal. Why are you freaking out over something so minor? There are people with real problems, you know!" I zoomed through this up and down rollercoaster of emotions all weekend. Finally, it aired. And it was fine! More than fine! How silly of me to get so worked up! I bet you've ridden a similar emotional rollercoaster, especially when you've chosen to "step into the arena", as Brene Brown says. When you've put yourself out there in a way that could be seen - and potentially judged. A lot of people just skip it. It's too much. They stay on the sidelines, comfortable commenting on everyone else but not jumping into the fray themselves. It feels safer. Maybe they'll step out when they've lost 15 pounds, or dealt with the clutter, or learned a little more - they're not really enough of an expert yet. But the world needs us to step up now. Even if we don't feel ready. Even if we aren't perfect yet. The truth (you already know this) is that you're never completely ready. And you're never, ever going to be perfect. And you're definitely never going to lose all fear. So what do you do? Here are four things to remember when you're looking for the courage to jump into the arena. 1. First, love your body. (love others’ bodies too!) Quit analyzing your turkey neck or your cottage cheese thighs or your poofy stomach. Love that your body gets you from here to there, or allows you to read, taste, touch and smell. Love your fingertips, or your eyes, or your pretty toes, or your cute kneecaps. Appreciate others’ bodies too – they are the real deal. Give yourself the challenge of finding something beautiful about every stranger you meet – young or old, big or small. 2. Give yourself a break. (give others a break too!) You don’t have to get everything perfect every time. You don’t need to present a flawless self. It’s exhausting. Yes, meet your deadlines, do your work, but lighten up when and where you can! And for the love of all that is holy, don’t spend too much time on Pinterest! Just make the cupcakes/write the blog post/finish the project. 3. Tell the truth to yourself. (tell it to others too!) If you don’t want to do something non-essential, don’t do it. If you don’t want to go somewhere, don’t go. If you don’t like something, don’t like it. Let others have their truth too. I practice this all the time in the hustly-bustly always-something-fun-happening world of New Orleans. Sometimes I really prefer to stay home and sit in the grass with the cat and a book. Sometimes the way I "dare greatly" is to do way more nothing in a world full of people doing a lot of something. 4. Let yourself feel, even the less “acceptable” feelings. (let others feel too.) Hey – sometimes you just feel bad. Sad. Mad. Scared. Notice it. feel it. Let yourself feel it. Go mope around for a while. Cry. Take a nap. Hide under the covers. Let others feel their feelings too. 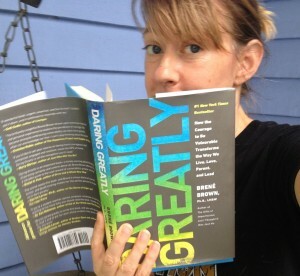 I would love to discuss Brene's book, Daring Greatly, with you! Let's help each other gain some courage and have some fun in the process! Tame your to-do list with the 4 Bs!